Earrings | Free Shipping | Finejewelers.com, Inc.
OUR EASY 30 DAYS �RISK FREE� REFUND AND RETURN POLICY. 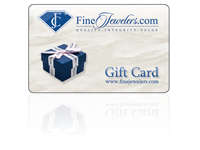 At FineJewelers.com, we want you to be absolutely satisfied with your purchase. Our very easy �no questions asked� 30 days return policy, allows you to return for any reason any order, and get your choice of a full refund or exchange within 30 days from the date of shipment. Earrings in the News! - While Ritter kept her accessories light, she did manage to include a pair of stud earrings and carried a cute metallic clutch to complete her look. Star K™ 7mm Heart Created Sapphire Earrings Studs style: 26335 3.00 cts. Star K™ Round 7mm Created Sapphire Earrings Studs style: 302264 3.00 cts. Star K™ Round 7mm Created Opal Earrings Studs style: 302619 0.80 cts. Star K™ 7mm Heart Created Ruby Earrings Studs style: 26334 3.00 cts. Star K™ 7mm Heart Simulated Aquamarine Earrings Studs style: 302300 3.00 cts. Star K™ Round 7mm Simulated Emerald Earrings Studs style: 302266 3.00 cts. Star K™ 7mm Heart Shape Created Opal Earrings Studs style: 26339 0.70 cts. Star K™ 7mm Heart Created Pink Sapphire Earrings Studs style: 26337 3.00 cts. Finejewelers 14k Yellow Gold 7mm Round Created Blue Sapphire Stud Earrings style: 25474 2.85 cts. Star K™ Round 7mm Blue Created Opal Earrings Studs style: 302733 0.80 cts. Star K™ 7mm Heart Shape Blue Created Opal Earrings Studs style: 26340 0.70 cts. Star K™ 7mm Heart Simulated Emerald Earrings Studs style: 303589 1.80 cts. Star K™ Round 7mm Created Star Sapphire Earrings Studs style: 305196 2.00 cts. Star K™ Cushion Cut 7mm Simulated Emerald Earrings Studs style: 304012 3.00 cts. Star K™ Square Cut 7mm Created Sapphire Earrings style: 302450 3.00 cts. Star K™ 7mm Heart Shape Simulated Garnet Earrings Studs style: 302618 2.80 cts. Star K™ Oval 8x6mm Created Opal Earrings Studs style: 302776 1.00 cts. Star K™ Trillion 7mm Created Sapphire Earrings Studs style: 302763 3.00 cts. Star K™ Round 7mm Simulated Garnet Earrings Studs style: 302611 2.80 cts. Star K™ Cushion Cut 7mm Created Sapphire Earrings Studs style: 304007 3.00 cts. Star K™ 8x6mm Emerald Cut Simulated Sapphire Earrings style: 302445 3.00 cts. Star K™ 7mm Heart Shape Created Star Sapphire Earrings Studs style: 303875 2.60 cts. Tommaso Design™ Oval 7x5 Genuine Sapphire Earrings Studs style: 22720 1.80 cts. Finejewelers 10k White Gold 7mm Round Created Blue Sapphire Stud Earrings style: E4043CRS10KW 2.85 cts. Star K™ Heart Shape 7mm Created Ruby Earrings Studs style: 25419 2.54 cts. Star K™ Heart Shape Simulated Amethyst Earrings Studs style: 303882 1.60 cts. Tommaso Design™ Oval Genuine Aquamarine Earrings Studs style: 21572 1.20 cts. Star K™ Heart Shape 6mm Simulated Aquamarine Earrings Studs style: 23309 1.60 cts. Star K™ Heart Shape 7mm Genuine Blue Topaz Earrings Studs style: 25837 2.53 cts. Copyright© 1998 - 2019 Finejewelers.com, Inc.